미국 사람들 중에는 ‘Do it yourself’라고 해서 집안에서 필요한 간단한 목공 일이나 전기, 배관, 잔고장 수리 등을 손수 하는 사람들이 상당히 많습니다. 이것을 줄여서 ‘DIY’라고 하는데요, ‘DIY’ 고객을 위한 물품들을 판매하는 전문 매장들이 있고, ‘supermarket’이라는 대형 할인 매장에도 DIY 물품들을 곳이 있습니다. 삐걱거리는 소리가 나는 문을 고치는 것도 이런 DIY에 속하는 일입니다. 오늘은 문을 직접 고치면서 나누는 대화를 배워봅니다. A: The door’s squeaky, and it’s really annoying. B: It’s driving me crazy, too. Let me check where the squeaks are coming from. Oh, I see. The rusted hinges are causing all the noise. A: We need to lubricate the hinges with oil then. Let me go get some motor oil spray and oil the hinges. A: Or you can use olive oil. B: That’s a good idea. Olive oil will do. 문이 삐걱 거리네요. 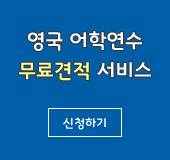 정말 거슬려요. * The squeaky wheel gets the grease. : “삐걱거리는 바퀴에 윤활유를 친다.”는 말로, 우는 아이 젖 준다는 속담과 비슷한 서양 속담. 우는 아이 젖 준다는 속담은 “The crying baby gets the milk.”라고 할 수 있습니다. 한국 이외에도 여러 나라에 비슷한 속담이 있습니다. 이제 대화 내용 중에서 “문에서 삐걱거리는 소리가 난다”라는 표현을 활용해서 영어로 간단히 대화를 주고 받는 연습을 해볼까요? A: The door’s making noise. B: Let me check on it. B: I think we need to oil the hinges. B: 경첩에 기름을 쳐야 될 것 같군요. A: The door’s squeaking again. B: I can fix it easily. Please get me some oil. A: 문이 또 다시 삐걱거리는군요. B: 제가 쉽게 고칠 수 있어요. 기름을 좀 갖다 주세요. 문이 삐걱 거리네요. 정말 거슬려요 (신경이 쓰이네요). The door’s squeaky, and it’s really annoying. 저도 그 것 때문에 미치겠어요. 삐걱거리는 소리가 어디서 나는지 확인해 볼게요. It’s driving me crazy, too. Let me check where the squeaks are coming from. 아, 알겠어요. 모든 소음이 녹슨 경첩에서 나는 것이로군요. We need to lubricate the hinges with oil then. 가서 윤활유를 갖다 경첩에 기름을 쳐야겠어요. Or you can use olive oil. 그거 좋은 생각이에요. 올리브유를 사용하면 되겠어요. That’s a good idea. Olive oil will do. “우는 아이 젖 준다”는 옛날 속담이 생각나는군요.